Anthony John Sarrero (born September 20, 1949), also known by his stage name Anthony Denison (also credited as Anthony John Denison and as Tony Denison), is an American actor. The eldest of three, he was born and raised in New York City’s Harlem. He worked for John Hancock Insurance as a life insurance agent in Poughkeepsie, New York, while pursuing his prominent acting career, starring in several stage productions in the New Paltz, New York, locale. His stage surname “Denison” was taken from his friend Jan Denison during his days as an actor and director at a nonprofit theater in the late 1970s. Denison is most recently known for his role as Detective Andrew Flynn in The Closer (2005–12) and its spin-off Major Crimes (2012–present). Nancee Borgnine: The daughter of Oscar-winning actor, Ernest Borgnine, Nancee Borgnine has grown up in the exciting world of motion pictures and television. Starting out as a sought-after actor’s agent managing the careers of over 150 noteworthy performers, Nancee soon spread her wings to work as a film producer, casting director and production manager. During her years in production, she branched out and created a beverage – “Borgnine’s Coffee Soda” – which quickly found its way to the shelves of retail outlets around the globe. It was in the manufacture and production of her product that Nancee entered the world of public relations and marketing – singlehandedly managing all critical aspects of bringing her popular product to the public. For the past decade, she has utilized her extensive background as an extraordinary entrepreneur and distinctive Hollywood insider to produce special events and celebrity-gifting suites that enable companies of all sizes to put their products into the hands of today’s hottest stars. The Borgnine Emmy Celebrity Gala: The Borgnine Primetime Emmy Event hosts current nominees to attend their annual EMMY event in addition to past nominees and winners. Some of the exceptional celebrities who come to our events include Emmy nominee: Joe Mantagena (Criminal Minds), Hector Elizondo (Last Man Standing, Pretty Woman), Gage Golightly (Teen Wolf), Julie Bowen, Ashley Argota (Nickelodeon), Emmy nominated Tony Dennison, Emmy Winner Ed Asner, Monica Potter, in addition to members of the cast of Big Bang Theory, Agents of S.H.I.E.L.D., Modern Family, Criminal Minds, Parenthood, The Middle, Burn Notice, The Goldbergs, etc. The Borgnine Group only accepts the best-of-the-best sponsors. We have distinctive celebrities from all facets of the entertainment industry who come to our events knowing that they will be seeing and receiving all kinds of exciting products. Some of the companies who have been a part of our events are: MXI Corp, Xocai Healthy Chocolate & XO-Lifestyle-Worldwide. Naomi Howison is a leader and executive with XO Lifestyle Worldwide (formerly MXI Corp and Xocai Healthy Chocolate). She spends most of her time in Southern California, near the beach, when she is not home in Texas. Naomi has raised 3 fantastic children as a single parent and they have blessed her with 5 precious grandchildren that fill her life with joy. XO Lifestyle Worldwide (Xocai) has made it possible for me to help motivate others to reach their goals. “I’m enjoying life and having fun living my dream of owning my own exceptional business … Having my own lucrative business gives me financial and time-freedom,” says Naomi. Naomi’s goal is to help you get healthy through (1) Xocai raw chocolate, (2) Xophoria anti-aging skin care and (3) SkinHealix cosmeceutical treatments. Let’s Connect Today! This entry was posted in Healthy Chocolate on April 28, 2016 by admin. Nancee Borgnine: The daughter of Oscar-winning actor, Ernest Borgnine, Nancee Borgnine has grown up in the most loved world of motion pictures and television. Starting out as a intriguing actor’s agent managing the careers of over 150 renowned performers, Nancee soon spread her wings to work as a film producer, casting director and production manager. During her years in production, she branched out and created a beverage – “Borgnine’s Coffee Soda” – which quickly found its way to the shelves of retail outlets around the globe. It was in the manufacture and production of her product that Nancee entered the world of public relations and marketing – singlehandedly managing all important aspects of bringing her acclaimed product to the public. For the past decade, she has utilized her extensive background as a well-respected entrepreneur and distinctive Hollywood insider to produce special events and celebrity-gifting suites that enable companies of all sizes to put their products into the hands of today’s most popular stars. The Borgnine Emmy Celebrity Gala: The Borgnine Primetime Emmy Event hosts current nominees to attend their annual EMMY event in addition to past nominees and winners. Some of the distinctive celebrities who come to our events include Emmy nominee: Joe Mantagena (Criminal Minds), Hector Elizondo (Last Man Standing, Pretty Woman), Gage Golightly (Teen Wolf), Julie Bowen, Ashley Argota (Nickelodeon), Emmy nominated Tony Dennison, Emmy Winner Ed Asner, Monica Potter, in addition to members of the cast of Big Bang Theory, Agents of S.H.I.E.L.D., Modern Family, Criminal Minds, Parenthood, The Middle, Burn Notice, The Goldbergs, etc. The Borgnine Group only accepts the best-of-the-best sponsors. We have distinctive celebrities from all facets of the entertainment industry who come to our events knowing that they will be seeing and receiving all kinds of exciting products. Some of the companies who have been a part of our events are: MXI Corp, Xocai Healthy Chocolate & XO-Lifestyle-Worldwide. Naomi Howison is a leader and executive with XO Lifestyle Worldwide (formerly MXI Corp and Xocai Healthy Chocolate). She spends most of her time in Southern California, near the beach, when she is not home in Texas. Naomi has raised 3 terrific children as a single parent and they have blessed her with 5 precious grandchildren that fill her life with joy. XO Lifestyle Worldwide (Xocai) has made it possible for me to help motivate others to reach their goals. “I’m enjoying life and having fun living my dream of owning my own terrific business … Having my own lucrative business gives me financial and time-freedom,” says Naomi. Naomi’s goal is to help you get healthy through (1) Xocai raw chocolate, (2) Xophoria anti-aging skin care and (3) SkinHealix cosmeceutical treatments. Let’s Connect Today! This entry was posted in Healthy Chocolate on April 21, 2016 by admin. Loni Love is a Detroit native, from Houston, Texas, that went to Prairie View A&M University in the Lone Star State for about four years, and got her degree in engineering. Though Loni Love is a stand-up comedian, Loni worked as an engineer for IBM and other companies for about ten years. Then, she got into stand-up comedy, and became an actress as well. When she was doing stand-up comedy, she would be performing at many different comedy clubs all around the country. While she wasn’t doing stand-up comedy, of course, she was acting, and played many roles in the “I Love the 90’s” series and also played Rose the Lunch Lady on “Ned’s Declassified School Survival Guide”. Throughout her career, comedian and actress Loni Love has brought audiences into hysterics with her witty satire and hilarious stand-up. Through her tireless pursuits for comedic excellence, Love has now found herself in the top tier of comedy as one of the hosts of Fox’s daytime show The Real, which will be premiering this summer, as a regular Guest DJ on The Ellen Show, and a recurring corresponding on Chelsea Lately and Entertainment Tonight. Nancee Borgnine: The daughter of Oscar-winning actor, Ernest Borgnine, Nancee Borgnine has grown up in the exciting world of motion pictures and television. Starting out as a sought-after actor’s agent managing the careers of over 150 renowned performers, Nancee soon spread her wings to work as a film producer, casting director and production manager. During her years in production, she branched out and created a beverage – “Borgnine’s Coffee Soda” – which quickly found its way to the shelves of retail outlets around the globe. It was in the manufacture and production of her product that Nancee entered the world of public relations and marketing – singlehandedly managing all important aspects of bringing her popular product to the public. For the past decade, she has utilized her extensive background as an extraordinary entrepreneur and singular Hollywood insider to produce special events and celebrity-gifting suites that enable companies of all sizes to put their products into the hands of today’s hottest stars. The Borgnine Emmy Celebrity Gala: The Borgnine Primetime Emmy Event hosts current nominees to attend their annual EMMY event in addition to past nominees and winners. Some of the superior celebrities who come to our events include Emmy nominee: Joe Mantagena (Criminal Minds), Hector Elizondo (Last Man Standing, Pretty Woman), Gage Golightly (Teen Wolf), Julie Bowen, Ashley Argota (Nickelodeon), Emmy nominated Tony Dennison, Emmy Winner Ed Asner, Monica Potter, in addition to members of the cast of Big Bang Theory, Agents of S.H.I.E.L.D., Modern Family, Criminal Minds, Parenthood, The Middle, Burn Notice, The Goldbergs, etc. The Borgnine Group only accepts the best-of-the-best sponsors. We have renowned celebrities from all facets of the entertainment industry who come to our events knowing that they will be seeing and receiving all kinds of exciting products. Some of the companies who have been a part of our events are: MXI Corp, Xocai Healthy Chocolate & XO-Lifestyle-Worldwide. Naomi Howison is a popular leader and executive with XO Lifestyle Worldwide (formerly MXI Corp and Xocai Healthy Chocolate). She spends most of her time in Southern California, near the beach, when she is not home in Texas. Naomi has raised 3 marvelous children as a single parent and they have blessed her with 5 precious grandchildren that fill her life with joy. XO Lifestyle Worldwide (Xocai) has made it possible for me to help motivate others to reach their goals. “I’m enjoying life and having fun living my dream of owning my own innovative business … Having my own passive income business gives me financial and time-freedom,” says Naomi. 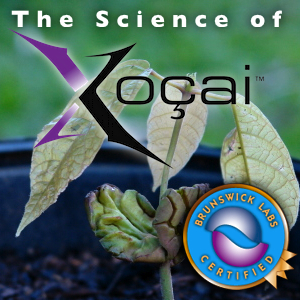 Naomi’s goal is to help you get healthy through (1) Xocai raw chocolate, (2) Xophoria anti-aging skin care and (3) SkinHealix state-of-the art cosmeceutical treatments. Let’s Connect Today! This entry was posted in Healthy Chocolate on March 23, 2016 by admin. This entry was posted in Healthy Chocolate on March 17, 2016 by admin. Nancee Borgnine: The daughter of Oscar-winning actor, Ernest Borgnine, Nancee Borgnine has grown up in the exciting world of motion pictures and television. Starting out as an acclaimed actor’s agent managing the careers of over 150 noteworthy performers, Nancee soon spread her wings to work as a film producer, casting director and production manager. During her years in production, she branched out and created a beverage – “Borgnine’s Coffee Soda” – which quickly found its way to the shelves of retail outlets around the globe. It was in the manufacture and production of her product that Nancee entered the world of public relations and marketing – singlehandedly managing all essential aspects of bringing her successful product to the public. For the past decade, she has utilized her extensive background as a trusted entrepreneur and singular Hollywood insider to produce special events and celebrity-gifting suites that enable companies of all sizes to put their products into the hands of today’s most loved stars. Naomi Howison is a leader and executive with XO Lifestyle Worldwide (formerly MXI Corp and Xocai Healthy Chocolate). She spends most of her time in Southern California, near the beach, when she is not home in Texas. Naomi has raised 3 terrific children as a single parent and they have blessed her with 5 precious grandchildren that fill her life with joy. XO Lifestyle Worldwide (Xocai) has made it possible for me to help motivate others to reach their goals. “I’m enjoying life and having fun living my dream of owning my own exceptional business … Having my own direct sales business gives me financial and time-freedom,” says Naomi. Naomi’s goal is to help you get healthy through (1) Xocai raw chocolate, (2) Xophoria anti-aging skin care and (3) SkinHealix industry-leading cosmeceutical treatments. Let’s Connect Today! This entry was posted in Healthy Chocolate on March 15, 2016 by admin. Wesley Albert Ramsey (born October 6, 1977) is an American actor. He is perhaps best known for his performance in the romantic drama Latter Days and for his multiple appearances in Charmed as adult Wyatt Halliwell. He attended the Juilliard School’s drama division as a member of Group 29 (1996–2000), which also included Morena Baccarin and Glenn Howerton. Wesley A. Ramsey was born in Louisville, Kentucky, on October 6th, 1977. He quickly took an interest in acting at the age of twelve. He enrolled in the Walden Theater three-week program, where he would spend the next seven years training and mastering his abilities. In 1996 Wes attended Julliard in Manhattan where he received his Bachelor of Fine Arts degree in the year 2000. Nancee Borgnine: The daughter of Oscar-winning actor, Ernest Borgnine, Nancee Borgnine has grown up in the exciting world of motion pictures and television. Starting out as an acclaimed actor’s agent managing the careers of over 150 distinctive performers, Nancee soon spread her wings to work as a film producer, casting director and production manager. During her years in production, she branched out and created a beverage – “Borgnine’s Coffee Soda” – which quickly found its way to the shelves of retail outlets around the globe. It was in the manufacture and production of her product that Nancee entered the world of public relations and marketing – singlehandedly managing all important aspects of bringing her celebrated product to the public. For the past decade, she has utilized her extensive background as a reputable entrepreneur and singular Hollywood insider to produce special events and celebrity-gifting suites that enable companies of all sizes to put their products into the hands of today’s most loved stars. Naomi Howison is a leader and executive with XO Lifestyle Worldwide (formerly MXI Corp and Xocai Healthy Chocolate). She spends most of her time in Southern California, near the beach, when she is not home in Texas. Naomi has raised 3 terrific children as a single parent and they have blessed her with 5 precious grandchildren that fill her life with joy. XO Lifestyle Worldwide (Xocai) has made it possible for me to help motivate others to reach their goals. “I’m enjoying life and having fun living my dream of owning my own entrepreneurial business … Having my own direct sales business gives me financial and time-freedom,” says Naomi. Naomi’s goal is to help you get healthy through (1) Xocai raw chocolate, (2) Xophoria anti-aging skin care and (3) SkinHealix unprecedented cosmeceutical treatments. Let’s Connect Today! Mary Lucy Denise “Marilu” Henner (born April 6, 1952) is a consummate American actress, producer and author. She is best known for her role as Elaine O’Connor Nardo on the celebrated sitcom Taxi from 1978 to 1983. While a student at the University of Chicago in the Hyde Park neighborhood of Chicago, Henner originated the role of “Marty” in the Kingston Mines production of Grease in 1971. When the show was discovered and moved to Broadway, she was asked to reprise the role; however, she chose instead to play Marty in the national touring company alongside John Travolta, who played Doody. Additional high-profile Broadway credits for Henner include Over Here!, with Travolta, revivals of Pal Joey, Chicago, Social Security, and The Tale of the Allergist’s Wife. Her first film appearance was in the 1977 sleeper-hit Between the Lines, co-starring then-unknowns Jeff Goldblum, Lindsay Crouse, John Heard, and Jill Eikenberry. Her second role was opposite Richard Gere in the 1978 film Bloodbrothers. Nancee Borgnine: The daughter of Oscar-winning actor, Ernest Borgnine, Nancee Borgnine has grown up in the exciting world of motion pictures and television. Starting out as a successful actor’s agent managing the careers of over 150 noteworthy performers, Nancee soon spread her wings to work as a film producer, casting director and production manager. During her years in production, she branched out and created a beverage – “Borgnine’s Coffee Soda” – which quickly found its way to the shelves of retail outlets around the globe. It was in the manufacture and production of her product that Nancee entered the world of public relations and marketing – singlehandedly managing all vital aspects of bringing her acclaimed product to the public. For the past decade, she has utilized her extensive background as an extraordinary entrepreneur and outstanding Hollywood insider to produce special events and celebrity-gifting suites that enable companies of all sizes to put their products into the hands of today’s hottest stars. The Borgnine Emmy Celebrity Gala: The Borgnine Primetime Emmy Event hosts current nominees to attend their annual EMMY event in addition to past nominees and winners. Some of the singular celebrities who come to our events include Emmy nominee: Joe Mantagena (Criminal Minds), Hector Elizondo (Last Man Standing, Pretty Woman), Gage Golightly (Teen Wolf), Julie Bowen, Ashley Argota (Nickelodeon), Emmy nominated Tony Dennison, Emmy Winner Ed Asner, Monica Potter, in addition to members of the cast of Big Bang Theory, Agents of S.H.I.E.L.D., Modern Family, Criminal Minds, Parenthood, The Middle, Burn Notice, The Goldbergs, etc. The Borgnine Group only accepts the best-of-the-best sponsors. We have eminent celebrities from all facets of the entertainment industry who come to our events knowing that they will be seeing and receiving all kinds of exciting products. Some of the companies who have been a part of our events are: MXI Corp, Xocai Healthy Chocolate & XO-Lifestyle-Worldwide. Naomi Howison is a leader and executive with XO Lifestyle Worldwide (formerly MXI Corp and Xocai Healthy Chocolate). She spends most of her time in Southern California, near the beach, when she is not home in Texas. Naomi has raised 3 terrific children as a single parent and they have blessed her with 5 precious grandchildren that fill her life with joy. XO Lifestyle Worldwide (Xocai) has made it possible for me to help motivate others to reach their goals. “I’m enjoying life and having fun living my dream of owning my own entrepreneurial business … Having my own direct sales business gives me financial and time-freedom,” says Naomi. Naomi’s goal is to help you get healthy through (1) Xocai raw chocolate, (2) Xophoria anti-aging skin care and (3) SkinHealix state-of-the art cosmeceutical treatments. Let’s Connect Today! This entry was posted in Healthy Chocolate on March 2, 2016 by admin. Dr. Gordon Pedersen of Utah is an international best-selling author. 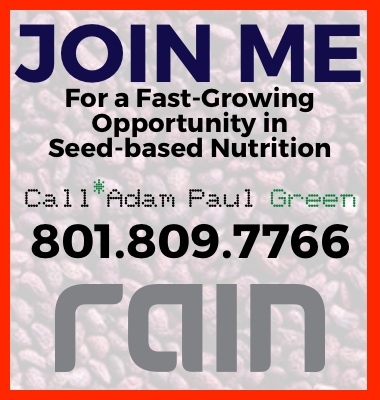 He is the formulator of more than 150 nutritional products and is the host of the Dallas Texas radio show Common Sense Medicine. He now serves as the Director of the Institute of Alternative Medicine and was nominated to chair the United States Pharmacopoeia Review Board, Natural Products Committee. Dr. Pedersen is an acclaimed scientist and sought after professional speaker and nutritional expert. Dr. Pedersen received his Doctorate degree in Toxicology with emphasis in Virology from Utah State University and a Master’s degree in Cardiac Rehabilitation and Wellness. Dr. Pedersen has authored a number of important protocols in virology. Among Dr. Gordon’s claims is that colloids and ionic silvers have been very successful in destroying bacterial infections. According to Dr. Gordon, silver is missing two electrons which consequently gives it catalytic capabilities. This capability can be described as a one-two punch for bacteria, viruses, and mold. This catalytic conversion allows the Silver to quickly destroy bacterial cells and recharge immediately for another round like a rapid-fire machine gun. The result is that Silver can destroy thousands of time more pathogens than a simple colloid or ionic silver. This means that Silver can be much more effective at a very safe concentration (5-20 parts per million), which can potentially be consumed every day. Because silver affects such a basic mechanism of normal microbial function, it is effective against a broad range of pathogens. Even if DNA or RNA structure varies or the mode of attack varies, the basic structure of the pathogen is the same and can be addressed by silver’s non-traditional mode of attack. While typical drugs or antibiotics are effective against six or seven microbes, silver preparations are effective against more than 500 different disease-causing pathogens without encouraging drug resistance and without side effects. And a little goes a long way, says Dr. Gordon. This entry was posted in Healthy Chocolate on October 15, 2015 by admin.